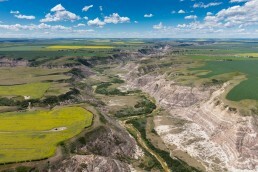 The premiere Badlands Experience! 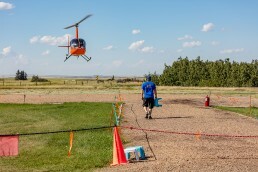 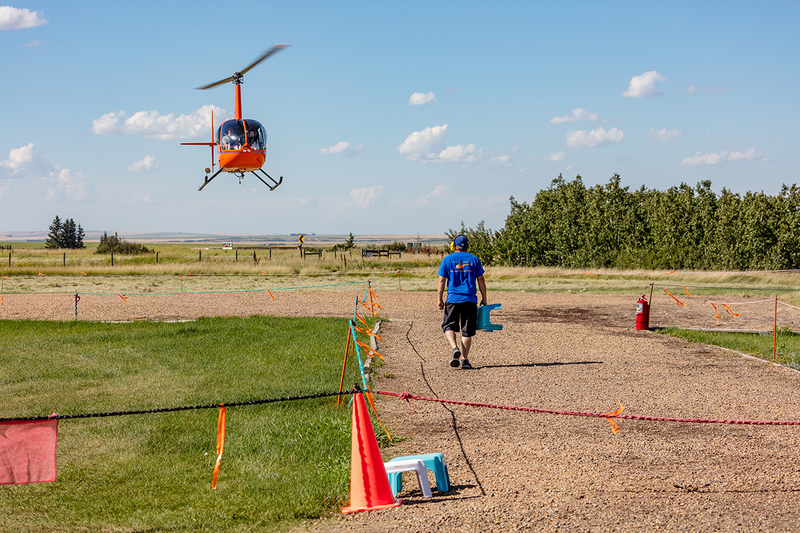 After departing from our helipad on the edge of the Horseshoe Canyon the helicopter will climb up to 1000 feet over the main view point area and start the journey north. 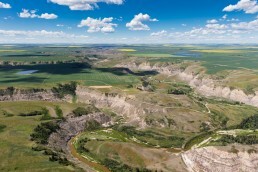 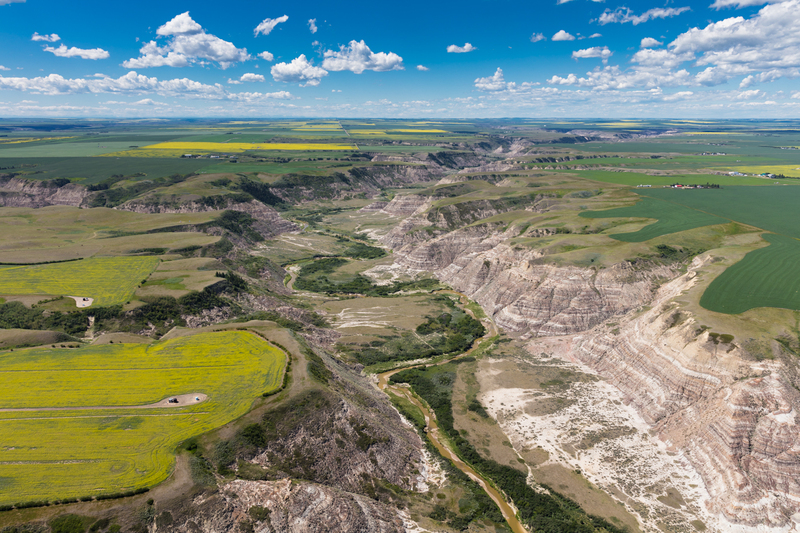 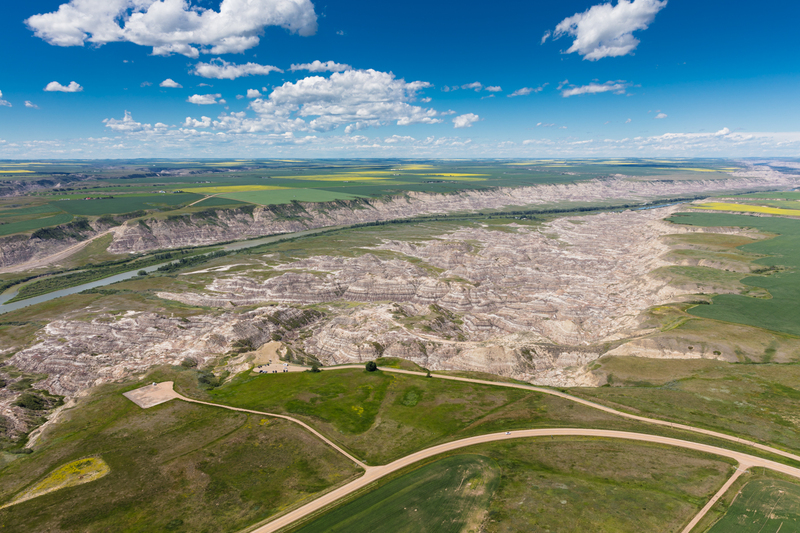 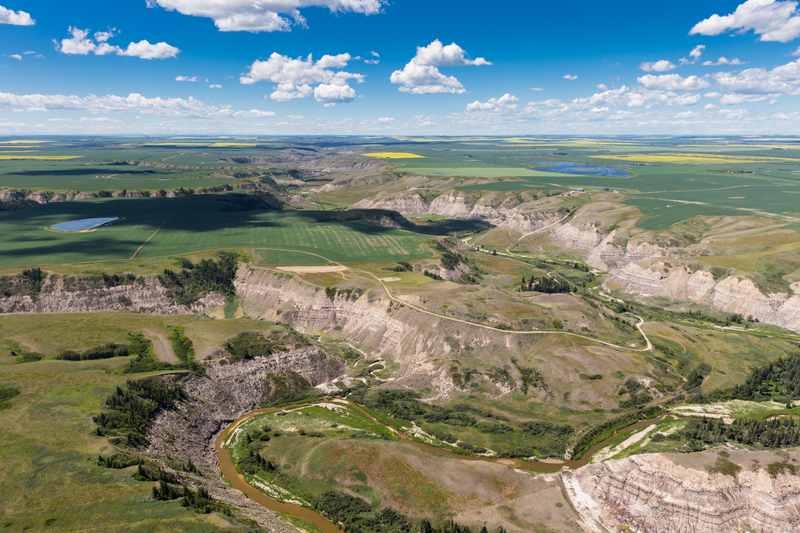 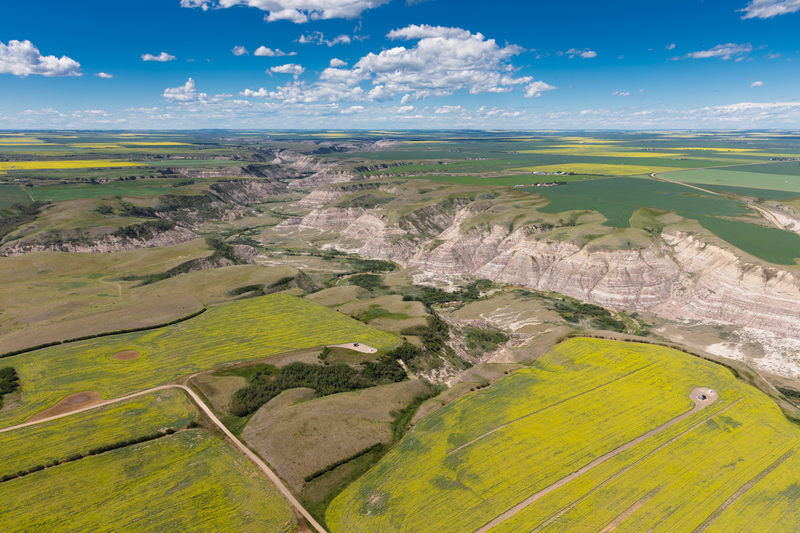 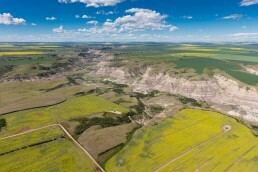 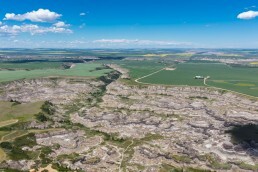 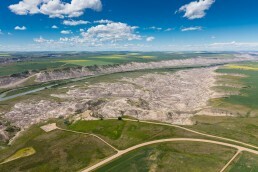 This tour will cover the 11km of the Horseshoe Canyon and continue on the Horsethief Canyon providing aerials views of the world famous Royal Tyrrell Museum and the Bleriot Ferry.